Non-flammable, cures clean & clear, won't attack paint. 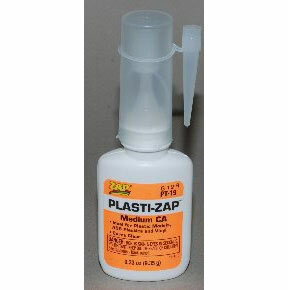 Splendid on most plastic modeling projects, car moldings & vinyl repairs. Use KICKER FOR PLASTICS for quick cure.